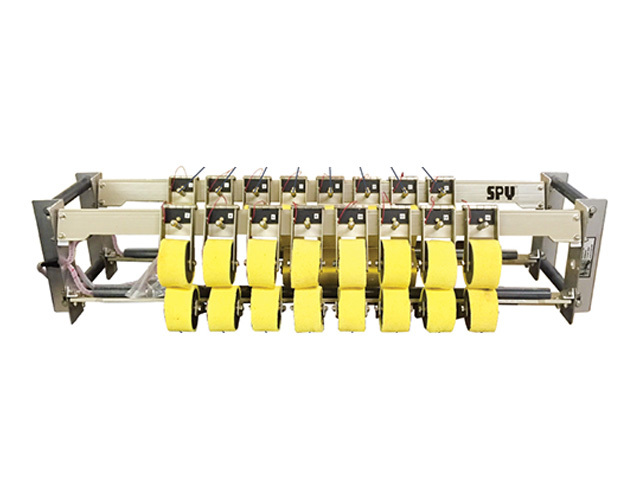 RBRS DUAL-ROLLER WET SPONGE ELECTRODES UNIT. The system is available in 3 – 24 coating line configurations. As the rebar lines run from the quench tank through the RBRS electrode units, moisture from the sponge electrodes conduct a 67.5 low voltage inspection of the rebar coating.